The eve of Lag B’Omer will be a night of action and drama in communities worldwide, all in celebration of the yom hillula of Rabbi Shimon bar Yochai. Swinging circles of dancing Jews, bonfires and barbeques, melodies and marshmallows. 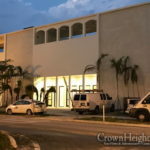 But between the palm trees and starry skies of North Miami Beach, a rapidly growing Chabad community of over 160 families will be celebrating in unique style. Think fine wines, and an off the fire grill and barbeque, spectacular fire performances, alongside an army of ticket boxes. You see, the Bais Menachem community are planning to fuse the joyful spirit of Lag B’Omer with the delight of their eagerly anticipated fourth annual Gala Chinese Auction. Despite the allure of a fantastic array of prizes – practical appliances, an extensive selection of electronics, stunning diamond jewelry, otherworldly gateways, and a catalogue-fill of wonderful wins – the auction is seen as somewhat holy in itself. For a start, this is a large community that rallies together with enviable harmony. It is also a way for the wider South Florida Jewish community to flash an annual smile of appreciation for the guidance, warmth, and support extended by Rabbi and Rebbetzin Yossi and Chana Marlow and the marvelous Bais Menachem of NMB. 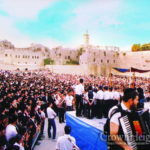 No less importantly on an auspicious date like Lag B’Omer, each ticket entered is mystically transformed into multiple merits, such as setting food on hungry tables, assistance to new mothers, multiple daily services and Torah classes, an enormous children’s minyan, and all the glorious programs that BM offers throughout the year. Much of these activities will themselves be supported by this Lag B’Omer’s gala auction. 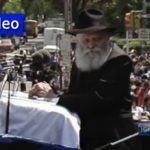 Bais Menachem’s community center eagerly awaits its final flood of funds that will allow its continued programming throughout the upcoming year, and there is all the reason to trust that the merit of Rabbi Shimon bar Yochai will make this Lag B’Omer’s auction successful beyond all expectation. The joyous event will take place on Wednesday evening, May 25, at the Beth Torah Ballroom. To take advantage of incredible online discount packages, and for further details, visit http://bmnmbauction.org/. Fantastic!!! 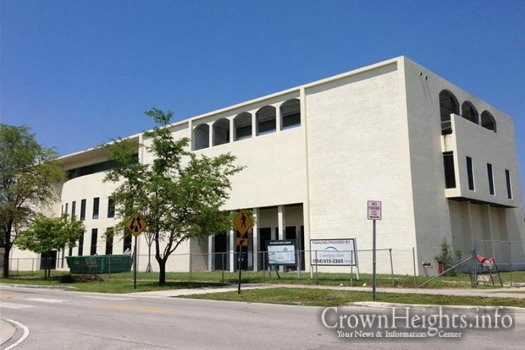 Looking forward to the building of the shul, and great community! This is a great time for all the people who visit here in north miami beach throughout the year to show some appreciation. Join in the chinese auction and help us get that much closer to finally being in the new building. Then we will all have room to sit and daven, learn and fabreng as much as you like when you come in!